Welcome to the library at Delshire Elementary School. Katie Berling is the librarian. Visit our new library website. Click here! Students visit the library weekly to check out books. Checkout limits are determined by grade levels. Fines for overdue books are 5¢ (five cents) per day per book. 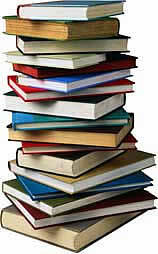 RENEWALS: Students may renew books twice if they are not reserved. If a book is lost, damaged, or destroyed, the original price paid for the book is charged. When payment for the lost book has been received, the daily fine will be waived. There will be no refund given if a lost book is paid for and later found. Accelerated Reader (AR) Program – is a research-based computerized program. Students take an assessment which determines both their reading level and range, then select books within that range to read. Quizzes are taken upon the completion of each book and points are earned toward prizes, which are awarded at the end of the year.